This well-established text provides in-depth coverage of the skills and knowledge of body treatments and body care required by trained beauty therapists. It includes detailed information on galvanic electrical treatments. 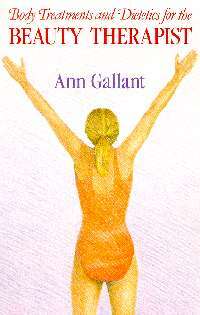 Ann Gallant's pioneering work in the UK Colleges of Higher Education helped raise Beauty Therapy training to a professional level. She now carries out teaching, demonstrating and advisory assignments internationally.